Is an eight week course to cultivate more kindness in your life – for yourself and for other people. It starts with a foundation in mindfulness, then introduces different approaches to cultivating kindness. The core practices are meditations that help us to transform our hearts and minds. These are coupled with reflections and exercises to bring kindness into our daily life. 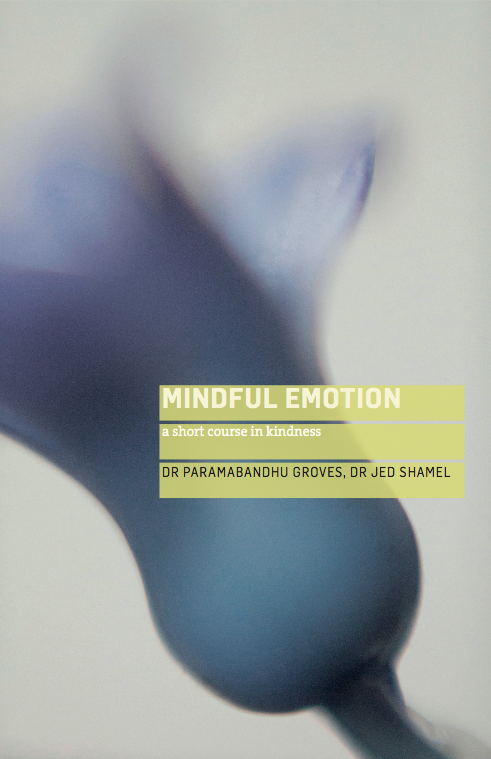 The full course is described in our book – Mindful Emotion: A short course in kindness. At this site you will find led meditations, reflections and other exercises to download. KBT was first developed as a follow-on course for those who had completed a course in mindfulness, especially one of the therapeutic mindfulness courses such as mindfulness-based cognitive therapy (MBCT) for depression, mindfulness-based stress reduction (MBSR) or mindfulness-based addiction recovery (MBAR). Buy this book, read it, practise with it. It’s a wonderfully welcome addition to the body of work around mindfulness and compassion. It’s engaging; down-to-earth but uplifting; and very much to the point.I’ll certainly be recommending it to all those who have attended my mindfulness classes. With the problems we face in today’s world, kindness is more important than ever. In Mindful Emotion, the authors have produced a thorough and pragmatic guide to bringing mindfulness and kindness into our lives. It is an excellent book that I will be recommending to colleagues, clients, and friends. The benefits of mindfulness are so much greater when they include a focus on kindness and compassion, both for ourselves and others. This book is a wonderful journey through the art and practice of mindful kindness – or as I like to call it, Kindfulness.